Buying an Emerald is much less technical than buying a diamond. Diamond’s are treasured for their brilliance while emeralds are loved for their color. Since it’s all about the color, you need to buy your emerald from a site that has high quality images of their stones, like Leibish & Co.
Emeralds are stunning in all types of jewelry. They can be the focal point in a ring like this beauty from Leibish. They can also be a nice contrast in jewelry as they serve this James Allen piece well. As you probably know already from other articles on our site, we encourage readers to learn about the importance of the 4 c’s when purchasing diamonds. Though we use the same 4 c’s for emeralds, we give greater or lesser weight to each one, according to its particular significance when assessing emeralds. Let’s take a look at each one, in order of importance. Without a question, color is by far the most meaningful of the 4 c’s. What captivates you right away when you see an emerald is undoubtedly its color — either a vibrant, passionate color or a dull, limp color — or possibly somewhere in between. This is what gives the color its intensity and strength. Saturation can range from dull to pure vivid. So if, for example, a medium dark stone has a boring, dull saturation, you probably won’t get too excited about it. But if you find a light green emerald sparkling with vivid saturation, your eyes are much more likely to be drawn to it — and you may like the lighter tone, as well. The bottom line to remember here is that the darker tonal and higher saturation grades will usually result in a higher price tag, but that doesn’t mean that you might not find an emerald breathtakingly beautiful slightly below this range. Of course, since color is by far the most important factor when buying emeralds, it should go without saying that you need to be able to see a high quality photo of the stone before even considering purchasing it. This is why we strongly recommend buying emeralds only from Leibish & Co or James Allen. 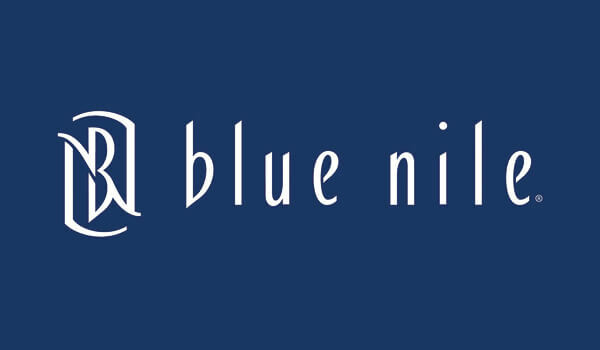 Just as with Diamonds, they lead the industry in just about every possible area – customer service, packaging, prices, high quality photography (and now video!). These high definition videos make the viewing experience just as good as seeing the stone in person. Another important thing to remember about emeralds is that they are rarely sold with a reliable certificate. With emeralds (as opposed to diamonds) this isn’t a deal-breaker. As long as you have a guarantee that the emerald is natural, all that really matters is how the stone looks to you. Don’t be concerned with “investment value.” If the hue, tone, and saturation of an emerald speak to your sense of beauty, that is all that is relevant. As with diamonds, emeralds with better clarity fetch a higher price at market. But that’s where the comparison ends. Whereas with diamonds there is a clear clarity grading scale (see our article on diamond clarity here), with emeralds there is not. The other major difference is that we expect to see inclusions (imperfections that lower the clarity grade) in about 99% of emeralds. 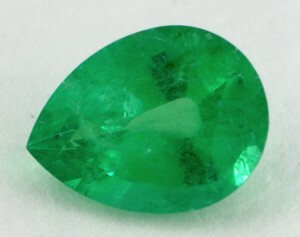 In fact, when you don’t see inclusions, you need to be suspicious that the emerald is not natural. The GIA classifies emeralds as “type III,” which means they are almost always included. 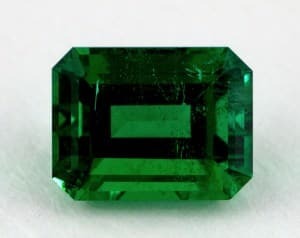 Emeralds belong to the beryl mineral family, and their inclusions result from bits of liquids, gas, and other minerals like chromium and vanadium. These inclusions are known as “jardin,” the French word for garden since the inclusions may look like branches or plant roots, but they are also what cause the stone to be that gorgeous green color. So don’t worry, inclusions are a natural part of the character of emeralds. But you should also know that since emeralds are so heavily included, about 80-95% of the rough must be cut away to produce a gemstone, thus giving a smaller yield and a bigger pricetag. Even though you will find inclusions and fissures, you need to pay attention to what kind they are. Stay away from inclusions that look like bubbles, imperfections that look arranged in a specific order, and obviously big blotches. Be sure that the stone’s inclusions are deep under the surface, otherwise they can create fractures when set or worn. This point is especially important because emeralds are not as strong as diamonds and will chip more easily. And bottom line: make sure you see a magnified picture of the emerald to see its jardin before purchasing. Due to the highly included nature of emeralds, it has become standard practice today to treat the stones with oils or resins to enhance clarity. Cedar oil is often used to improve emeralds’ clarity, as well as other synthetic oils and polymers. Emerald vendors generally accept the use of oil, but do not look favorably upon green-tinted oil. All emeralds sold should have full disclosure of treatment according to the US Federal Trade Commission. As with diamonds, the cut of the emerald refers to its faceting, shape, width and depth. Ideally, an emerald should be cut symmetrically with uniform facets that allow for paramount color and brilliance. If cut too deeply, the light will escape on the side and the emerald will look dark. If too shallow, the emerald will not appear brilliant since the light will be lost at the bottom of the stone. The rectangular or square step cut called “emerald cut” is thought to maximize the shape of the rough. This is the most common cut, and hence why the name “emerald cut” stuck, even when applied to other gemstones. Besides emerald cuts, there are round and oval cuts, but these are both more expensive and rare since so much more rough must be wasted to cut them. After these, there are pear cuts and cabochons (think of the rounded convex shape of a gem in a brooch), and much less likely are princess, brilliants, trilliants, and other fancy cuts. Bigger is better, right? Well not necessarily. Carat weight obviously helps determine the price of the emerald, and a 4 carat stone will be more expensive than a 1 carat stone, all other factors being equal. But carat weight plays a much larger role in the pricing of diamonds than it does with emeralds. With the latter, we are primarily interested in the color of the stone, then its clarity and cut, and only finally its carat weight. Emerald experts agree that it’s better to buy a smaller emerald with excellent color quality than a larger one with poor color quality. And beware that there will be a big price jump once you hit 1 carat since it takes, on average, the removal of five tons of dirt to find a gem-quality emerald over 1 carat. Emeralds are not just the stuff of the Slytherin house hourglass or Elizabeth Taylor’s jewelry box — or even May’s birthstone. They are an integral part of a more colorful gemstone market and specifically the bridal market — where we are seeing emeralds as both center stones and accent sidestones for engagement rings. Whatever your preference, learning the truth about emeralds will help you make the most informed decision on your next jewelry purchase.